We’ve all heard of China’s speed and scale of development and massive urbanisation programmes but if you’re still skeptical, seeing Shanghai will definitely make you a believer. Perhaps compared to its recent peak, indeed China’s growth has moderated but I bet most corporate leaders will take China’s so-called “slowdown” anytime compared to what most Western economies are experiencing. Shanghai 上海, China’s largest city and home to more than 24 million people is a global financial centre, a popular tourist destination and a contrast of old charm and futuristic landmarks. Back in the 1930s, Shanghai flourished as a financial hub fostering trade between the east and the west and was very much a socialite known as the Paris of the East. Its prominence took a set back until China reopened up to foreign investment under economic reforms introduced in the 1990s and like a sleeping tiger, Shanghai came roaring back and taking title as one of the world’s leading cities once more. A Shikumen residential district in the French Concession built in the 1930s, Tian Zi Fang has been redeveloped into lane ways of creative arts and craft stores, studios and galleries along with cafes and restaurants popular amongst locals and tourists. 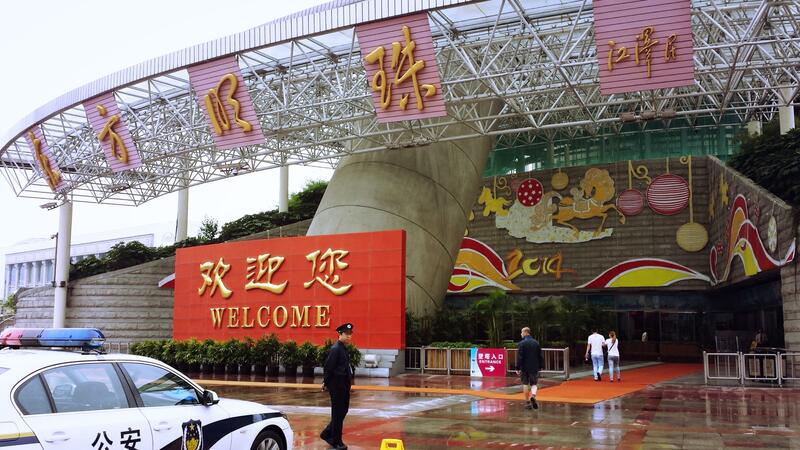 Being a popular tourist area also means tourist prices, so if you’re a bargain hunter, look elsewhere. Much of its old Shanghai charm has been retained and many of them remain shop and residence. The introduction of small bars and cafes in Tian Zi Fang is great for visitors but residents probably don’t feel the same with a number of signs throughout asking visitors to keep the noise down. Yu Yuan, finished in 1577, was the largest private garden in Shanghai built by the governor of Sichuan Pan Yu Duan during the Ming Dynasty. It was intended for the enjoyment of Pan’s parents but construction of the massive gardens (approx. five acres) took so long that they never got the pleasure. The Garden was destroyed a number of times over the course of 400 odd years but was rebuilt and repaired. A national monument today, the garden has six main scenic zones of plants, ponds, streams, rockery, pavilions and halls. Surrounding the gardens is the Yu Yuan Bazaar, a popular market housed in old style buildings. The shops and stalls are very “touristy” but nonetheless worth a walk around. Shanghai has approximately 10 times the population density of Sydney and if you want to comprehend the scale of this city, there’s no better way than seeing the scale model of Shanghai at the Shanghai Urban Planning Exhibition Centre located at People Square. The massive scale model showcases existing and future approved buildings, offering both a day and night view of the urban city in its entirety. Shoppers haven! Nanjing Road is one of the busiest retail strips in the world, stretching west (Nanjing West Road) to east (Nanjing East Road) in the heart of Shanghai. The history of Nanjing Road can be traced back to the mid 1800s when it was referred to as the main road. By the 1900s a number of large department stores, including the “big four” Wing On 永安, Sincere 先施, Sun Sun 新新 and Da Sun 大新 and franchise stores opened shop on the busy strip. By the 2000s, the middle section (over 1km) of Nanjing Road was converted to a pedestrian only section and became home to a number of national and international brands. Stores are generally open from 10am to 10pm. Visiting at night is extra special as the neon-lit Nanjing Road comes to live showing off its dazzling colours. Oh, and don’t worry if you didn’t bring enough cash, most credit cards (Visa, Master, American Express) are welcomed. On The Bund side of Nanjing East Road is the majestic Peace Hotel which first opened in 1929 and is testament to the glorious Golden Age of Shanghai. Walk through and admire the elegant and luxurious architecture and dine at the equally famous Dragon Phoenix 龙凤厅 or have a drink in the Jazz Bar and enjoy the company of the Old Jazz Band. Set along the Huangpu river, The Bund was a major financial hub of East Asia housing several banks and trading houses from Europe, Japan and the U.S. No expense was spared in building the architecturally magnificent homes to house these powerful institutions, many of which have been restored and is now heritage listed. With uninterrupted views of Huangpu river and Lujiazui, The Bund is a popular destination of luxury bars, restaurants, clubs and high-end fashion retailers. The best thing about the Bund is you don’t need to spend a dime to enjoy it. Taking a stroll along the promenade was one of the most enjoyable and memorable experiences I had in Shanghai. On one side, it’s a step back in time to old Shanghai and the other is the spectacular ultramodern Lujiazui skyline. There are lots of photographers along the promenade offering to take photos of you (for a fee) and this picturesque backdrop but you’ll need a bit of luck to get a smog free, clear night for a perfect picture. A number of cruises are available at varying duration, option and prices but I’d definitely recommend the night cruise. The wharf is along the promenade and every cruise seems to be packed with people. Once on board, if you want to get away from the crowd, you can pay an extra ¥50 pp to enter a comfortable VIP area with separate seating and deck area. If the Bund is old Shanghai, Lujiazui is the new and future Shanghai. Since it was designated as a special investment zone in 1992, the Lujiazui skyline has quickly developed to boost more than 30 over 25 stories high buildings and home to over 500 local and overseas corporates. Most notable is the Lujiazui trio, Jin Mao Tower (88 levels, 420.5m) Shanghai World Financial Tower (101 levels, 492m) and Shanghai Tower (Estimated completion 2015: 121 levels, 632m) which is a stunning representation of Shanghai’s past, present and future. Each building has its own 5-Star hotel (Grand Hyatt, Park Hyatt and J Hotel) and observation deck. Needless to say, the outlook from these top hotels are amazing so stop by their lobbies for breathtaking views. Alternatively, there’s a number of bar and dining options. We’d visited the Piano Bar at the Grand Hyatt on level 55 of the Jin Mao Tower which did have good views, but to be honest the atmosphere/ambiance was far better at the Peace Hotel Jazz Bar. If height is not your thing, a great place to take in the view is from the Lujiazui Ring Road which connects a number of buildings like the IFC, Jin Mao Tower, Oriental Pearl Tower and Super Brand Mall. Unless you’re in Shanghai for business, I’d recommend staying on The Bund side where you can admire the dazzling skyline from a far. Once the tallest structure in China, the Oriental Pearl Radio and TV Tower is a 468m communications and observation tower that opened in 1994 as the inaugural landmark of Lujiazui. The observation levels are really nothing special , particularly if you happen to visit on a smoggy day. However, the highlight I found was the Shanghai History Museum located at the base of the tower, which showcases Shanghai from the 1840s with model shopfronts, homes, streets and other artifacts. 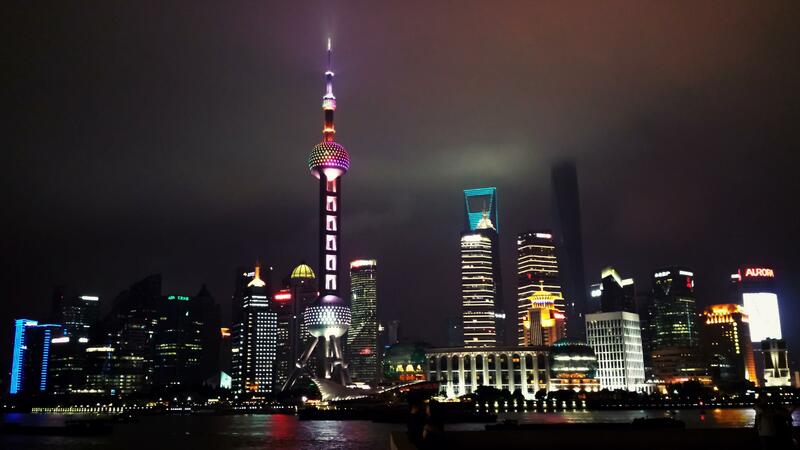 If you’re looking to see the most prosperous side of China, Shanghai is where you need to go. Shanghai Private Tours offers excellent customised tours of Shanghai and I highly recommend them; it really is fuss free. For a faultless place to stay, try The Waldorf Astoria on The Bund and you won’t be disappointed.